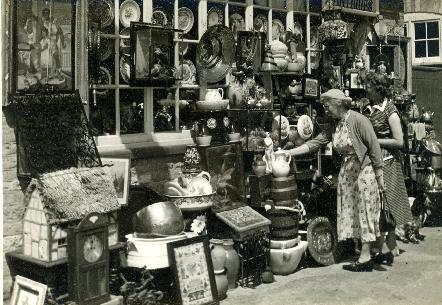 Mr & Mrs Hill ran an antique shop in Bridge Street which was later taken over by their son Arthur. It became a bric-a-brac shop. Many items were put outside on display each week and Arthur was always ready and willing to talk with people. Little escaped his notice and he was a good source of local information.